We had a few hours to explore on our last day in San Diego, and we wisely spent them at the Balboa Park that we encountered two days ago. Every park needs a working replica of Shakespeare's Globe Theatre. You could probably spend a month at this park seeing everything. There are like 10 museums on the campus, so we just had to pick one. We opted for the Museum of Man. Probably my favorite exhibit was a world history of beer. One culture makes it by chewing grain and then spitting it into a bucket to get the fermentation process started. Yum. We paid special attention to the mummy exhibits in order to prepare ourselves for our trip to EGYPT in a couple weeks. No big deal. There were so many people out that I thought there must be some sort of special event or something happening, but that didn't seem to be the case. It was just another awesome day at an awesome park. Lunch was worth the wait. 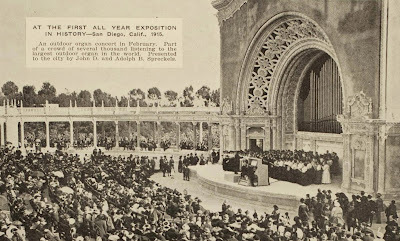 Our last event was watching a performance on the gargantuan Spreckels Organ. I'll just borrow this picture from Wikipedia. Yoink. 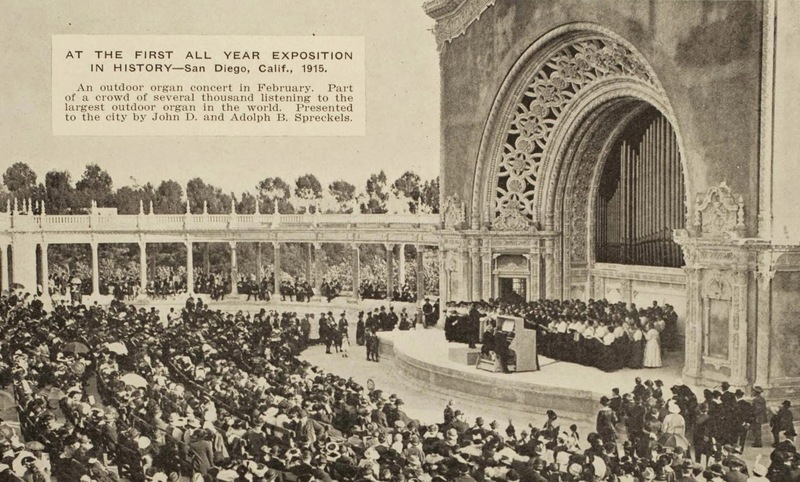 Anyway, the organ was built for the 1915 Panama-California Exposition and was the largest outdoor organ in the world at the time.